With an ancient civilization that dates back earlier than almost any other in the world, China inevitably has a rich history full of transformation and development. From dynasties to open socialism, China has experienced both the pressures of political unrest and the peacefulness of political dominance. After many years of metamorphosis, this ancient civilization has reached the dawn of ultimate strength as it becomes a potential world super power today. Home to over one billion people, China possesses the world's fastest growing economy. While China still remains governed by the Communist Party, movements in recent history have initiated significant change. Reform efforts in the 1960s shifted the economic direction of China towards an open market economy. This newfound freedom for citizens to establish their own private businesses has caused an economic boom, creating an abundance of job opportunities within urban centers like Beijing. As a result, rural workers have started to migrate from their homes in the countryside in order to find better work in the cities. However, in attempts to control mass migration and maintain stability, the government enabled the Hukou policy, a home registry system that restricts internal movement within the country. Citizens must now go through a lengthy and difficult process of requesting formal permission in order to relocate, resulting in many who migrate without going through the legal process. But their migration is not without a price. Without governmental permission, the workers are denied basic rights such as health care and education - essentially being treated as illegal aliens in their own country. Most devastating of all, the children of these workers are not allowed to enroll in city schools and thus the cycle of misfortune and in-opportunity is perpetuated. That's where Globe Aware steps in. Globe aware partners up with the only non-governmental school in Beijing that provides free educational opportunities for the children of these migrant workers.This school incorporates creative techniques for educating children that have never been in a classroom before, making lessons interesting and fun. The school is always in need of helping hands to build, paint, and construct in order to improve conditions on the campus. In addition, enrollment at the school continues to increase, with new students registering each week. 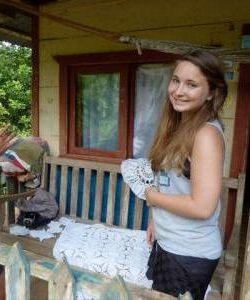 Globe Aware volunteers have the opportunity to assist in building projects and to teach English, helping equip students with skills for a bright and successful future. Explore China's rich history - CLICK HERE! I vividly remember how I felt leaving for Costa Rica in April 2011. Nobody in my class could stop talking about how excited they were - excitement to leave the country for the first time, to travel without their parents, to get out of a couple days of school. I didn't have many feelings. I wasn't dreading the trip, but I wasn't particularly looking forward to it. I didn't know what to expect. I definitely didn’t expect my feelings – or lack thereof - to change so quickly. In five days, the village of El Sur, Costa Rica stole my heart. Two weeks after returning home I searched for ways to return, and through fundraising and long hours of work, in July 2011 I went back for two weeks - completely alone, not speaking a word of Spanish. Those two weeks were inspiring, rewarding and a major turning point in my life. Junior year of high school soon took over and didn’t allow a moment to think about anything except schoolwork and SATs, let alone leaving the country, but this summer I had the opportunity to return for a week, and January2013 I’ll be back for two more. I've never had a good idea of what my future holds, only vague ideas. I'm still young and have no idea what the future brings, but I know my experiences in Costa Rica have had a huge impact on how I’d like to spend my life. I’d love to take my experiences and build on them and expand them. See other parts of the world and help be part of the solution instead of the problem. I have so much respect for the people of El Sur. For their positivity, their love and their inspiring, beautiful lifestyle. I hope that I will have the chances to work with the people of El Sur for the rest of my life as well as other parts of the world. I feel irrevocably blessed for having the experiences that I have had and for being able to work in and experience such an incredible place. And vote for her on Globe Aware’s Facebook Page! 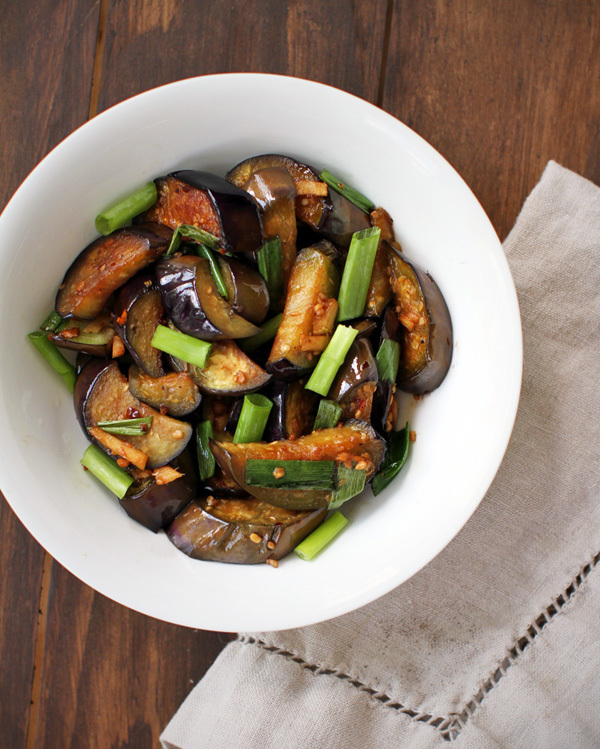 A dish you'll frequently seen on plates all over China, Sauteed Eggplant is light, fresh, and easy to make. Try it as a side to your favorite entree or as a main course on top of rice, and enjoy the savory and delicious flavors that will inevitably have you begging for more! 1. Chop the eggplant up into pieces, by slicing diagonally. 2. Cover the bottom of the wok with vegetable oil. 4. After about 1 minute add the eggplant slices. 5. When the eggplant starts getting a bit softer (about 4 minutes) Add the soy sauce, sugar and red pepper flakes. 7. Saute for another minute, then add the sesame oil. 8. After another minute, remove from heat. 10. Serve with rice and enjoy!